I didn't change the layout much but I'm quite satisfied with it. And I want to share some pics of this photo set. 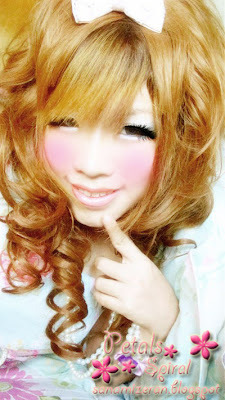 I tried my best to look himegyaru tho,this is how it turned out. Tomorrow I'm going to visit my family graveyard for the first time!! I'm so excited coz I wasn't allow to go here when I was young. P.S.I'm thinking about creating some giveaway event.